Charging cables aren’t exactly the sexiest pieces of technology, but they’re essential to every setup. Normally, I wouldn’t think twice about the charging cable I’m using, but when it comes to USB-C cables, the options are pretty bad right now. So, when I saw the Griffin BreakSafe Magnetic USB-C Power Cable, I desperately wanted to test it out. The BreakSafe Magnetic USB-C cable includes a small magnetic breaking point at one of male ends of the inputs. The idea is that it will function similarly to the MagSafe cable on an Macbook—preventing people from accidentally tripping on the wire and yanking their laptop or phone down with it. I use a Huawei 6P smartphone and Chromebook Pixel laptop for most of my computing needs, so this cable seemed like a perfect fit. 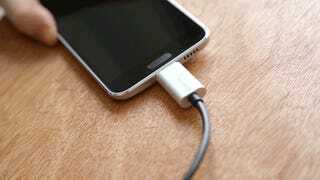 It was a high-quality USB-C cable that wasn’t going to make my phone explode, and it came with this cool extra feature that might actually make my life a little easier. The magnetic connection on Griffin’s BreakSafe USB-C cable is too weak and easily snaps off. Unfortunately, what I discovered was the the Griffin BreakSafe USB-C cable worked a lot like a fraying or broken cable. In the first few seconds of using the BreakSafe, I plugged it into my phone, and laid my phone on my nightstand. Right before I walked away, I noticed my phone wasn’t charging. The magnets were so weak that simply hanging the cable off the edge of the table was enough to break the magnetic connection. I fiddled with the cable until it stayed connected. It reminded me of the exact same thing I had to do when my other cables started breaking at the end. This is not how cables are supposed to work. I tried to brush it off. 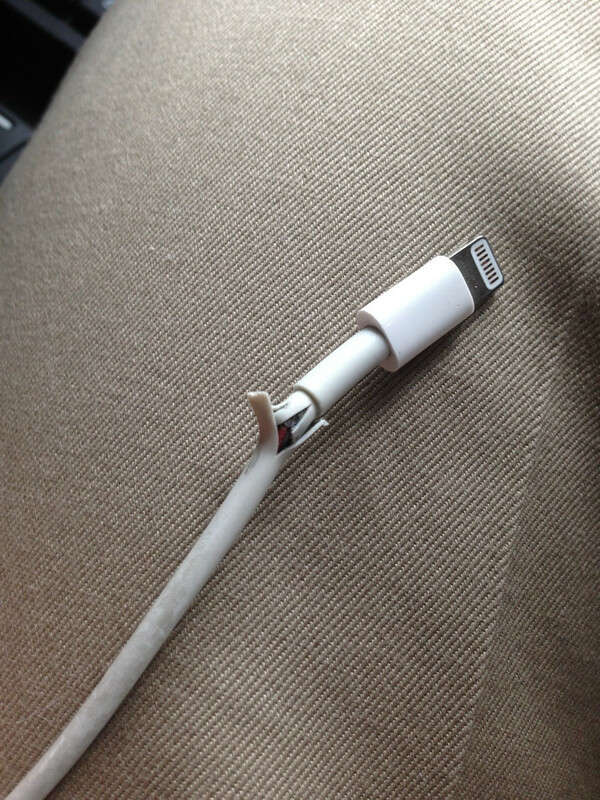 The BreakSafe cable is perfect for someone that is constantly unplugging their phone while it’s charging, I figured. I thought the quick-release magnets would come in handy when I started using my phone throughout the night. Sadly, it didn’t make checking or charging my phone easier at all. Griffin’s BreakSafe USB-C cable leaves a little nub at the end of whatever gadget you use it with. When I lifted my phone from the table, it was easy to break off of the cable, but the charger left my phone with an annoying little nub at the bottom. The nub made holding my phone feel awkward. Plugging my phone in wasn’t any easier, either. I still had to grab the cable from off the floor and touch the magnets together. It was equally as burdensome as plugging in a standard cable. The Griffin BreakSafe USB-C cable is only 6-feet long, too short for most people that want to use it with a laptop. OK—so this thing must be great for use with a laptop, right? The MagSafe connector on Macbook Pros and Airs can be a lifesaver if you trip over the cable. This could just be a USB-C version of that! First of all, at just 6-feet in length, there wasn’t nearly enough cable for me to sit at a reasonable distance from the wall. Unless your work space is directly above the outlet you’re plugging into, consider yourself doomed. The BreakSafe disconnected anytime I moved: getting a glass of water, using the bathroom, bopping my knee to a good song—all of it caused the cable connection to break. The magnet isn’t nearly as strong as the ones used on the Macbook’s MagSafe cable, and more importantly, the breaking point is on the end of the cable—it’s not integrated into the device like it is on a Macbook. The Apple MagSafe cable works so well because it’s actually part of the female input on the laptop, and the cable itself doesn’t break. It’s sturdy and locks in with a strong magnet. The BreakSafe relies on a chunky plastic piece at the end of the cable that features a significantly weaker magnet and reaches a breaking point much easier. It is, in many ways, like using a frayed cable that needs to be thoughtfully placed in the perfect positions. The Griffin BreakSafe USB-C cable can be used on both laptops and smartphones. 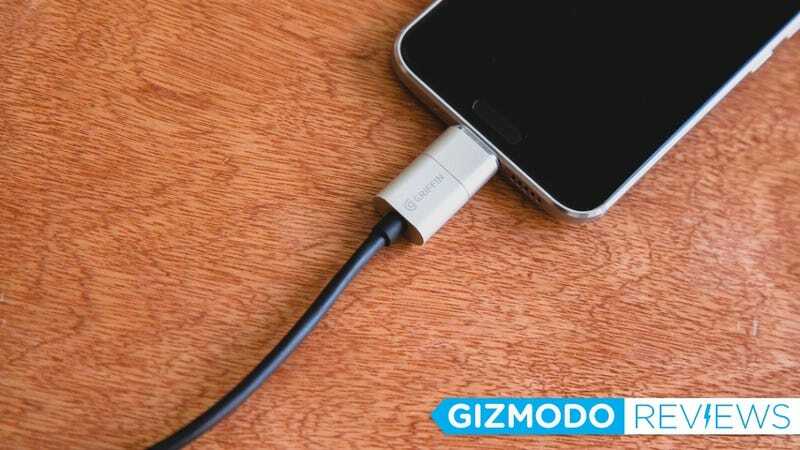 But cables aren’t supposed to be items that you have to think much about—they should just work. I’ve never had to think so carefully about a cable like I did with the Griffin BreakSafe Magnetic USB-C. My only recommendation is that you should avoid this cable at all costs. It’s overpriced and hardly functional. Griffin’s USB-C to USB-A cable, for instance, is half the price and will give you less headaches. If you’re looking for a USB-C cable, get any one but this one.